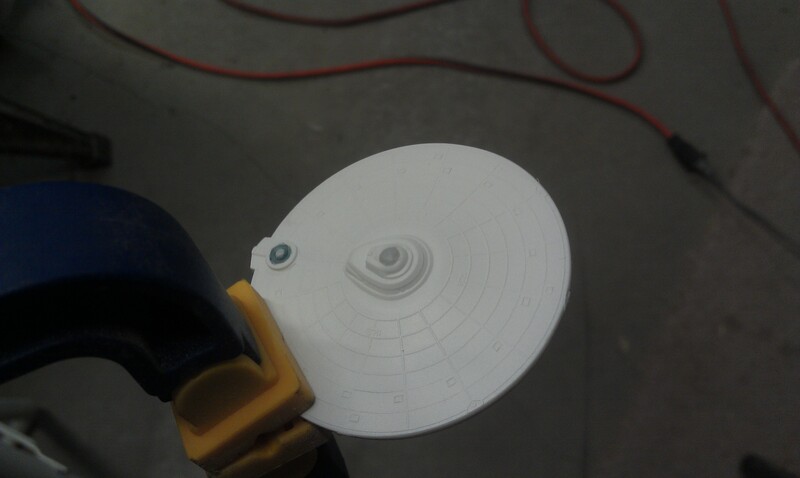 After finishing spray painting the base colors for the NCC-1701-A, it was time to build the sub-assemblies, do some detail painting, and then attach the saucer to the engineering hull. 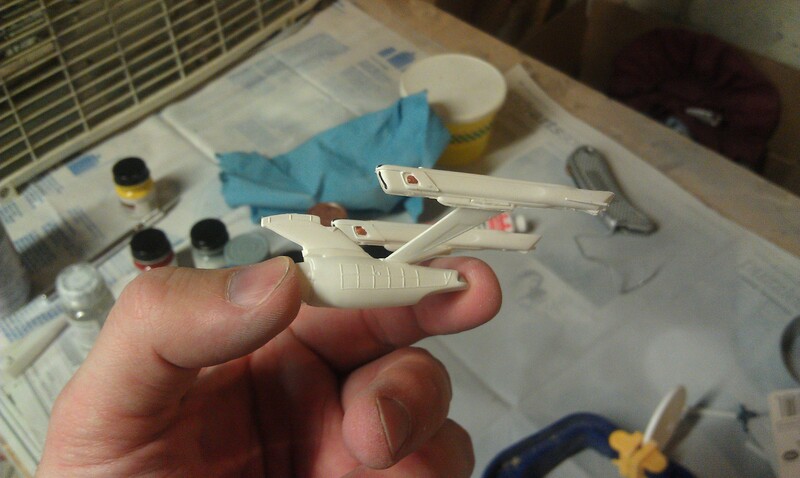 I’m not particularly proud of black highlights on the front of the nacelles, but I’m hoping that the decals that cover most of the part will help clean up the edges. The Constitution-class refit is going to be staying in spacedock for a while, I’m planning to get back to the Excelsior model and do the decals next. 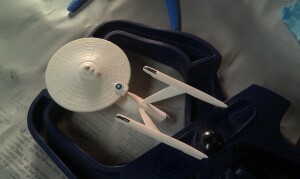 After the TOS model’s tiny decals I want to practice on a larger model and the A is about midway between the two.